Tagged under Udajo, Brains Base, Idea Factory, Series, Light Novel, Games, Drama CD. Really, i hardly even finished the first episode. Downloaded the anime thinking that it might be a bit good or different.. boy was i wrong. Couldn't finish the first episode without feeling like a big perv. That one episode was to cheesy and crappy for me to make me get going with an anime as much pointless as Brothers Conflict. I feel bad for the hours i spent downloading it! I like the ending song..."My sister, metcha kucha ni aishiteru..."
first this kinds of anime is not my type at all, but since i watched the three ep of it i said i will complete it, i hate otome anime because the heroine have no personality and of course this anime is no different than the others any way i enjoyed the comedy and the good coloring but not the drawing, and i hate the idea about brothers fighting over girl, why they have the same taste ??!! weird !! and they all are older than her only three close to her age suppose the conflict between them just not with the rest of them, the characters i like Juri and Rui and Yusuke and Natsume and i hate Fuuto so much ! the rest i don't like them, anyway still the anime must had another season because the story is not finished yet. I really don't know what to say , first of all this is not my type of anime, i hate otome type anime, because the stupid heroine who ever she is, has no personality and all the boys kill each other to get her for unknowing reasons, it's like she's the last girl in the world, i watched Brother Conflict only because i wanted to see every one character, but sadly, the last character Natsume is show up in episode 4 and it was too late to stop watching the anime so i continued to watch it any way and it was a big mistake i will not do it again, the characters personality is kind of crazy, i really don't like any one of them, and the most character i hate is fuuto, i just want to slap him in the face, he is very annoying, the only thing i like in this anime is their life style,the graphics and juri. Watched the first 3 eps. Beautiful characters design but I didn't like the story (Personally I think there's a weak point in the fiction causing incredibility and that isn't enjoyable). 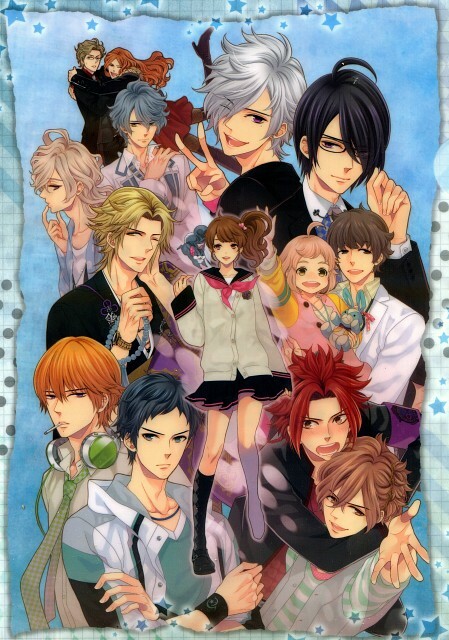 No feedback on Brothers Conflict.